EVENTS | Spectro Performance Oils | The Best Oil On Planet Earth. 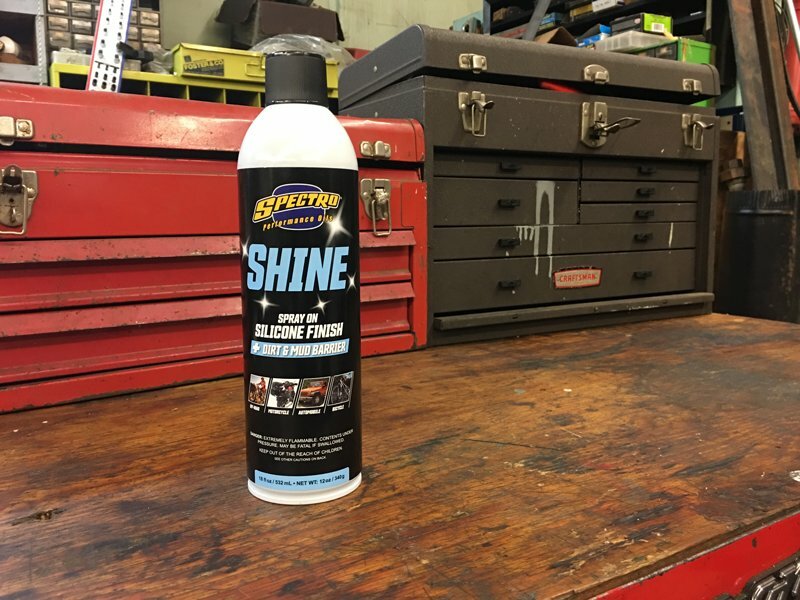 Brookfield, CT – Spectro Performance Oils is pleased to announce the newest product in their extensive line-up, Spectro Shine. 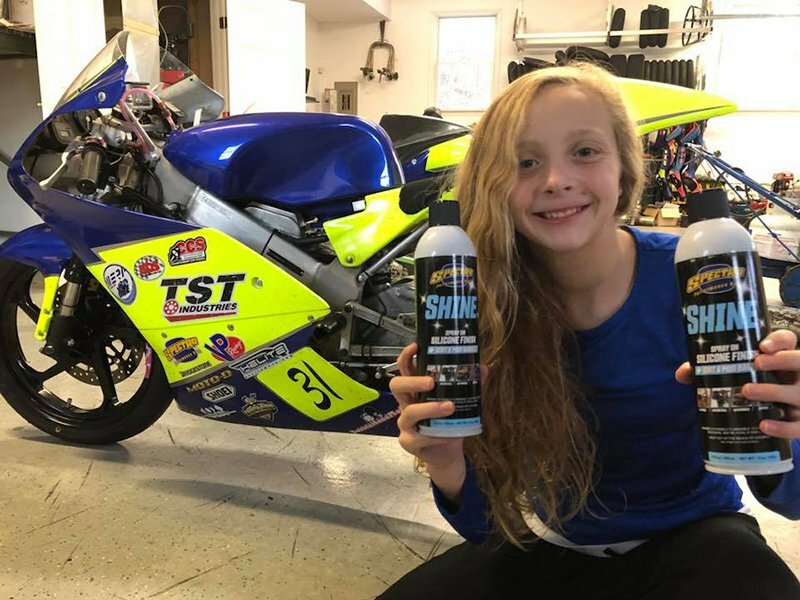 Spectro Shine is a silicone-based spray on finish for motorcycles, UTVs, ATVs, snowmobiles, scooters, personal watercraft, cars, trucks and more! Shine gives your ride a showroom shine, every time! Spectro Shine works even better when used after cleaning your bike using Spectro Motorcycle Wash. Spectro calls it the “Wash and Shine” treatment. Spectro Shine is long lasting and forms a dirt and mud barrier, repelling the dirt and debris from roads as well as heavier mud deposits from off-road adventures. Shine is an affordable way to keep your ride in tip top condition. 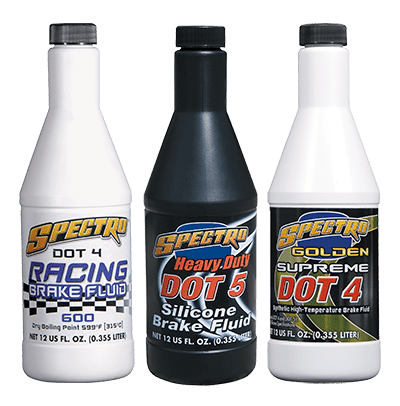 You can buy Spectro Shine at your local dealer that carries Spectro as well as our online retailers. Please visit our website www.spectro-oils.com/shine for more information and click on the “BUY NOW” button at the bottom of the product page to find an online retailer. We would love to hear your Spectro Shine story, please share any pictures, videos or unique uses with us so we can share with the world! Use our handle @SpectroOils on Facebook and Instagram and use hashtag #SpectroShine! We look forward to hearing from all of you. Formulated with a high additive level of both zinc and phosphorus (2200 ppm) to provide maximum valve train wear protection as well as optimal ring sealing during the break in of flat tappet engines. This product is for “break-in” use only. This ultimate product contains superior anti-wear zinc and phosphorus additive packages for twice (2X) the amount of exceptional levels of protection and durability through its high treat levels of 1800 ppm zinc and phosphorus (ZDDP), especially important in the high stress conditions of racing. Crafted from our select high-mileage polyalphaolefins by using Spectro’s G4 Technology, and further enhanced with aggressive treats of zinc and phosphorus (ZDDP). Spectro® Platinum provides low friction resistance, maximizes power, and has a durability unmatched by any other lubricant. API SG/SH/SJ. 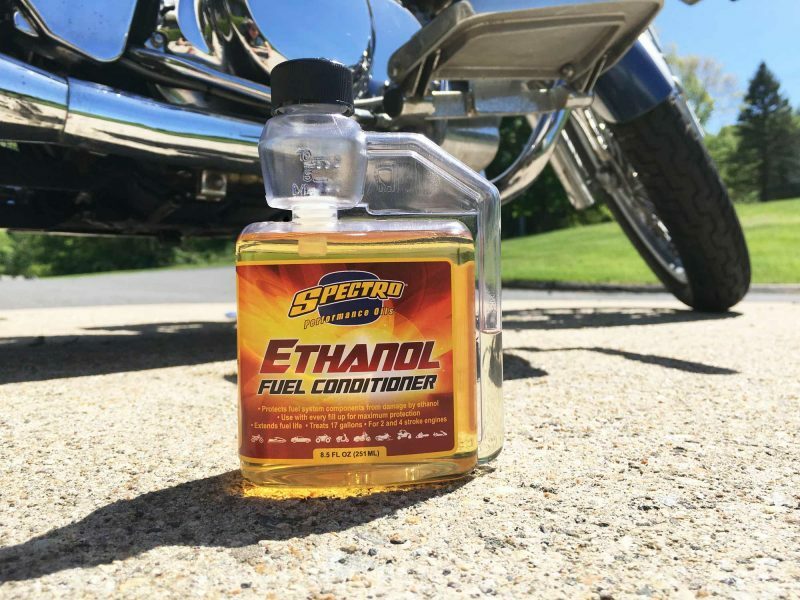 Spectro Ethanol Fuel Conditioner will protect any fuel system components from damage by ethanol, which is present in most fuels, it will also inhibit the build up of gums and prevent corrosion in your fuel delivery system. It will extend fuel life and allow for extended, no-maintenance off-season storage. The Ethanol Fuel Conditioner will work with fuel systems in all 2 and 4 stroke vehicles, from yard equipment to classic cars. 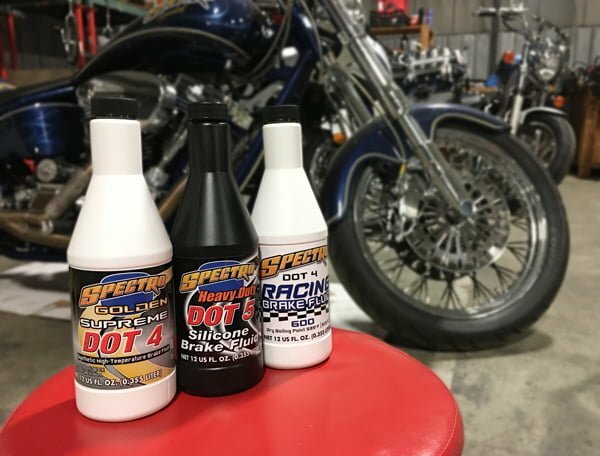 Introducing the newest innovation in Spectro Performance Oils’ extensive product line-up…Spectro Shine is a silicone-based spray on finish that will give your ride a “Showroom Shine!” Shine is the ultimate cleaner/polish for your motorcycle, ATV, UTV, scooter, automobile, snowmobile and watercraft. It protects from road grime, bugs, grease, dust, dirt and mud. For the best results, first clean your ride or surface with Spectro Motorcycle Wash, then finish with Spectro Shine! We’re two days through the work week, and that means it’s time for another #techtiptuesday! This week we want to talk about a handy little tool that is rather helpful when…..well really all the time. Having a bottle of Assembly Lube within reach in your shop can help save you time, energy, and prevent damage. Assembly lube is typically a thick tacky oil that is designed to stick to metal surfaces to both aid in putting parts together, and to provide protection post assembly. There are many uses for an assembly lube but we are going to highlight a few of the key ones today, and if you have any uses of your own we would love to see them in the comments! Since it is quite literally in the name, the first use we want to talk about is for assembly. Have you ever battled those little parts that are supposed to slide together and they just resist going easily? Often times during an engine build, or reassembly parts are cleaned with solvents or other similar materials. This removes all lubrication from the parts and when trying to put them back together the rough metal surfaces with zero lubrication can become stubborn. Pins, dowels, slides, and the like all benefit from a small sampling of this fluid on them. The final assembly of a motor, transmission, or other machine can be a long process. Between taking your time to make sure everything is in it’s place and you aren’t missing anything the minutes add up. This is where the thick tackiness of an assembly lube come in big as it will hang in place for a decent amount of time giving you the time needed to complete assembly. Using an assembly lube to coat any components that will see metal to metal wear such as cam lobes can help prevent wear on the initial startup. This is a job normally performed by the engine oil, however on the very first startup after a rebuild it can take a few seconds for the engine oil to get dispersed throughout the motor. by having assembly lube in the friction areas of the motor it can help to protect those components until the engine oil can take over permanently. Another nice benefit of an assembly lube is as a rust preventative. Use it on nuts and bolts as a light coating to help prevent oxidation of the metals. A little coating of the assembly lube can help delay rust, so it can be especially useful on parts that you will need to take back apart at some point and would prefer not to fight with. A little extra work the first time can save you a fair bit the next time you have to take it apart. It’s time for another #techtiptuesday and this time it’s a special edition! We went way back in our past for this one, back to our first ever product that is, Golden Spectro Motorcycle Two Cycle Premix. There are many…many things we want to talk to you about two stroke oils. It is a topic that has a lot of information so we want to break it down for you. Today we want to talk specifically about mix ratios. A very common question that we get asked is “What ratio do I mix your oil at?” and we have a stock answer for that question. You should always mix your two stroke at your OEM recommended ratios. Now while this may sound like a lazy stock answer, we say it with good reason. Most two stroke oils can be mixed at a wide variety of ratios and still be effective. The reason that you should always follow factory info on this is that they build the bike to run at a certain level of oil. Too much and you run rich, foul plugs, and get carbon buildup…Run too little and you are running lean, not enough oil can lead to wear and damage. Now this is all if you have a premix system, but what if you are oil injected. For the most part the bike will be preset to what it needs, but there is still one very important to thing to remember when looking for oil. Make sure you are using an oil that is acceptable for an injection system. Some oils are made for premix only and will not gum up, and not run through an injection system properly. 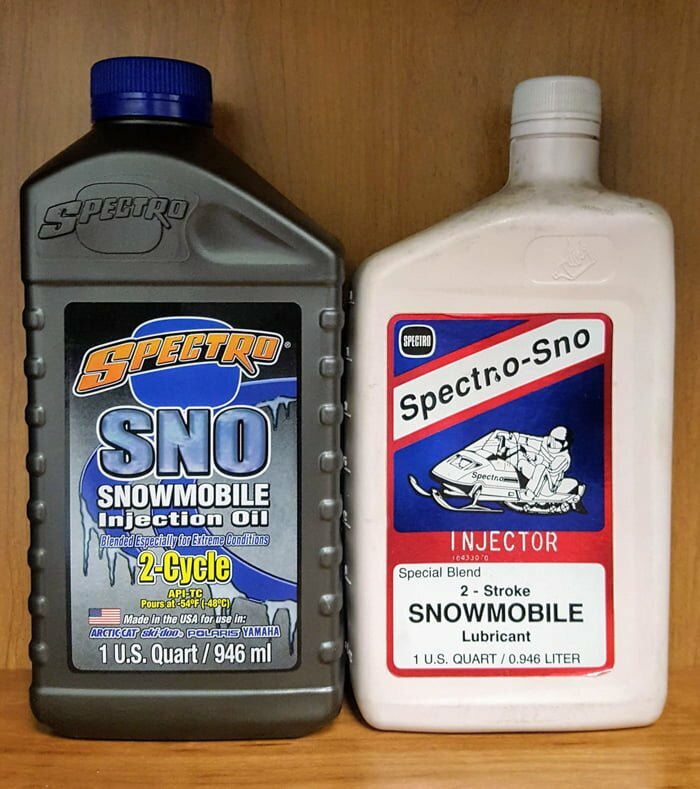 Spectro Oils makes a high quality two stroke oil that will work in all OEM machines without issue and it can be mixed to every known major OEM mix ratio. We offer premix and injector options in Petroleum, Synthetic Blend, and Full Synthetic Formulas for whatever you ride! 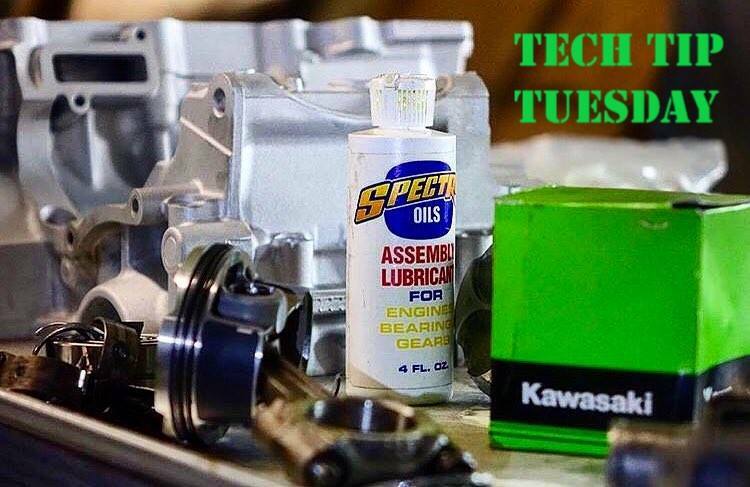 It is time for a very important #techtiptuesday We can’t stress it enough, this is an issue that we see every day, and it can have serious negative effects on your motorcycle. It is a topic that has been thoroughly debated, but today we will discuss the facts. Today’s topic is why you shouldn’t use automotive oils in motorcycles. 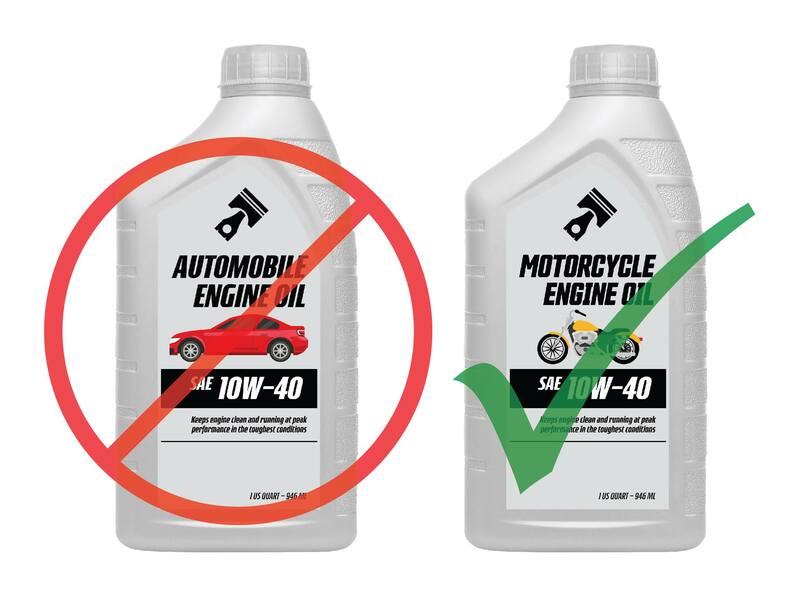 For many years it was common to use the same oil in your motorcycle and your car, so we can understand the confusion around this topic. There are also some bikes out there that are built in a way that it isn’t a big concern. However with the way oil and engine technologies have changed there are a number of reasons as to why you should use an oil designed for motorcycles specifically, and never use automotive oils in them. One of the biggest reasons has to do with motorcycles that have a wet clutch. Modern automotive oils have been designed to increase fuel economy as much as possible. One of the easiest ways to do this is additives called friction modifiers that help reduce friction in your motor, thereby reducing the working load of the motor, and reducing the amount of fuel used. The problem with automotive oil in a wet clutch bike is that the clutch plates are lubricated by the engine oil, and friction modifiers would cause your clutch to become significantly less effective as it uses friction to operate. Auto oils in a wet clutch causes clutch slippage, hard shifting that could lead to transmission damage. Automotive engines, and motorcycle engines are designed to operate in different conditions. While it may sound crazy to operate your car at anything over 2-3k RPM, for many motorcycles this is common practice. While cars have evolved to have liquid cooling systems to keep motors cool and some bikes have as well, there is still a large contingency of air, and oil cooled motorcycles. There are many additives in motorcycle specific oils that help to keep engines cool, or help them operate at higher RPMs, that are not as prevalent in automotive oils. We understand shopping on a budget, but we plead with you to use oils that are designed for your bike. 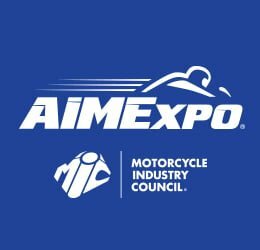 Yes motorcycle oil is more expensive, additional additives and a smaller market cause that, but at the end of a year it can be the difference of $10-$20 more for a motorcycle oil. That to us is a pretty cheap form of insurance that will help your bike run smoother, help reduce wear and tear, and keep it running right. For this week’s #techtiptuesday we want to discuss small batch blending, what it is, why we do it, what the alternative is, and what it means for you! Small batch blending is the art of blending oil in a blending tank in a limited quantity. To use our setup as an example, we typically blend between 110 gallons, to 3,000 gallons at a time depending on the product. While 3,000 gallons may sound like a lot, in the grand scheme of things it is on the small end. We use the small batch blending method for a number of reasons, but the most important to us is that it helps ensure that every product we produce is made to our exact specifications. Think about it like multitasking, when you have a lot of things to do it is not uncommon for something to be forgotten, where if you focus on a few key tasks at a time the result is usually better. It takes longer, it’s more work, but at the end of the day it is a better product, and we have much more control over the quality of our products. By mixing the products together in a blend tank we can ensure that all of the components that go into it are evenly mixed and all of the oil is the same. Now you’re probably asking yourself, well what other method could there be, of course you mix it in a tank. The answer is in line blending. In this process the components are all mixed together as they are sent down the pipes. This method offers much less control over the finished product as anything can happen, valves could get stuck, there could be air in the line, and if any of this happens the mix ratio of the components changes. This is typically done by companies that want to produce more product, save time, and maximize profits. What does this mean for you. Spectro Oils is dedicated to small batch blending. You can be assured that every time you put a bottle of our oil in your machine it will work exactly as it is supposed to. We take the time to make sure that the product you receive will be of the highest quality. We stand by the old adage “Quality over Quantity”. 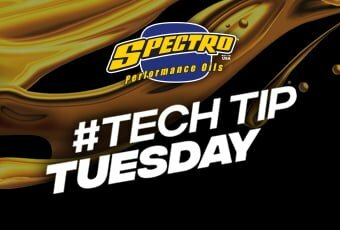 For today’s #techtiptuesday we are going to talk about the science of why regular oil changes are important. We’ve discussed in the past how viscosity can change in mineral oils over extended use, but there is another important factor to keeping the oil in your vehicle fresh, and that is what we refer to as “consumables”. Consumables are additives that over time and use either degrade or become damaged beyond use, thereby inhibiting their positive effects on your engine and oil. There are three main ones we want to talk about today; Antiwear, Detergents, and Dispersants. Antiwear is an important additive to your oil as it helps prevent wearing of the metals inside your motor. Antiwear such as ZDDP helps to coat the surfaces inside of your engine and provide a smoother surface where there is metal to metal contact. It acts as a sacrificial barrier, slowly being deteriorated rather than the metal inside your motor wearing down. Detergents help keep the inside of your engine clean. Just like laundry, or dish detergent they help to break up any materials that aren’t supposed to be there so that they can be easily “washed” away. Over time the cleaning power of detergents get used up and they become less and less effective. Dispersants are the second half of the cleaning process. After the detergents clean the buildup off of the surfaces in the motor it is the job of the dispersants to make sure that the contaminants don’t get stuck anywhere else. The dispersants do this by bonding to the contaminants and keeping them in suspension in the oil until it gets to your oil filter. Over time the amount of dispersants in your oil will decrease as well as they will be trapped in the filter with any of the other particulate that gets trapped there. These are just a few of the reasons why regular oil changes help keep your motor running solid, without wear, and clean from contaminants that can cause damage. If you ever have a question about how often you should change your oil you should always consult with the manufacturer of your vehicle. Time for another #techtiptuesday to begin! This week we are going to talk about oil shelf life. We often get people asking if it safe to use old oil bottles they find around their house, if it is going to cause damage, or if the oil has “gone bad”. The general rule of thumb when dealing with engine oils is that they tend to remain usable for around 5 years if stored properly. That last part is key. Sealed bottles kept in a safe environment will last longer and you will not need to worry about contamination. What causes the oil to go “bad”? The biggest issue that oils can have over an extended time is what is known as additive fallout. This means that while sitting the additives in your oil can over the course of a very long time settle at the bottom of the bottle, and create a “sediment” looking fluid. These additives are important to the performance of the oil, so with them no longer in suspension in the bottle, the oil will not work as well as intended. Sadly it is not as easy as shaking the bottle to get them mixed back together. Remember that time frames will vary, higher quality oils can last a little longer, and vice versa. It is all dependent on the quality, time frame, and how the product was stored. If you aren’t sure how old the oil is you can pour it into a clear container and see if there is any sediment. This won’t prove that the oil is still good but it will help to determine how bad it may have gotten. 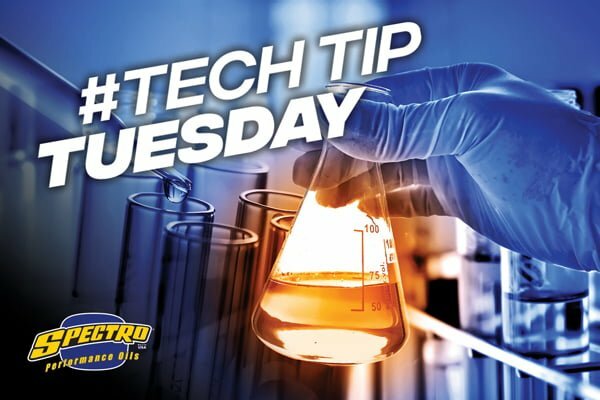 Today’s #techtiptuesday talk is about fuel, changing standards, and what that means for you and your machines. It’s not uncommon these days to see stickers at the gas pump such as E10, but what does that mean? 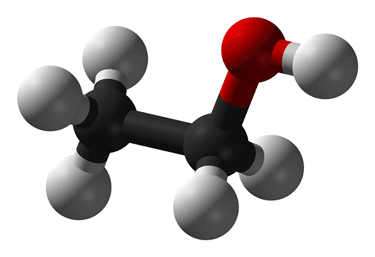 Recent trends have seen gas stations adding Ethanol Alcohol to gasoline. There are a number of reasons that this is being done, many political in nature so we will not dive into that part of the subject. Rather we will tell you what Ethanol is, and why you need to be cautious when using it. E10, the most common sticker refers to the fact that there can be up to 10% Ethanol mixed in with the gasoline. In 37 US States there is legislature that says that a gas station must have a a label informing you that there is ethanol in your gasoline. Note: 13 US States DO NOT require any such labeling. The benefit of Ethanol is it is a renewable resource but like anything it also has it’s issues, especially in an internal combustion engine. Ethanol is a solvent. Solvents are cleaners that have the ability to dissolve other substances. In the case of ethanol it can deteriorate plastics, rubbers, and other parts that are essential in the fuel system of your machines. As a solvent it can also counteract your oils ability to lubricate parts leading to engine wear. Ethanol is hygroscopic. This means that it attracts moisture, hygroscopic fluids will over time absorb moisture from the atmosphere. This can cause multiple issues inside of a vehicle such as heavy corrosion caused by moisture, as well as the fuel going bad. Ethanol fuels can have as less than half the shelf life of a non ethanol fuel. Stay tuned later today for an announcement about a new product from Spectro Oils that will help you combat ethanol fuels! Time for another #techtiptuesday ! This week we want to talk to you about base stocks, specifically Group IV base stocks. There are 5 grades of base stocks, Groups I, II, and III are all refined from a mineral base, Group IV is PAOs and are a man made synthetic, and Group V is all other man made synthetics. For reference Group III can be referred to technically as a synthetic, but it is from a mineral base. But we are here today to discuss PAOs. PAO is short for polyalphaolefins. PAOs are most highly touted for the extremely stable molecules making them one of the most durable, and the best at wear protection. Notice in the image above the molecules on the left and right. PAO molecules (right) sizes are more universal which helps them to be stronger than other other base stocks. Their universal size, and strong molecule chains help to prevent shearing of the engine oil. Shearing is the act of molecule chain being shortened by a mechanical force such as a motor. When enough molecule chains get shortened it effectively reduces the viscosity of the oil and makes it lighter leading to less protection. Mineral oils are especially susceptible to this. This is why back in the day you were always told to change your engine oil at 3,000 miles, where synthetic engine oils claim longer oil change intervals. PAO base stocks are very shear stable and will hold their viscosity for much longer than mineral oils. Spectro Oils proudly uses 100% Pure PAO synthetic base stocks in all of our Platinum Full Synthetic Oils. This helps us to ensure that you have the best product possible that will stand up to any test you can put it through. Next time you get your oil changed don’t just ask if it’s synthetic or not, ask what base stock it is made from. We stand behind what we use, Pure PAO! For our first ever #techtiptuesday we want to talk about Viscosity. This is a word that a lot of people know, but may not understand what it truly means. Viscosity is the resistance of a substance to flow. In the video you see two fluids side by side, water, and honey. Water has a low viscosity, or is less viscous meaning that it flows more easily. Honey has a high viscosity, or is very viscous meaning that it doesn’t flow as easy. When looking at the viscosity of oils they use a system of numbers to describe the viscosity of the fluid. The lower the number the lower the viscosity and the higher the number the higher the viscosity. Using the proper viscosity of fluid is crucial to the correct operation of the machine they are in. Lighter viscosity oils are better for use systems that require fluids to move through small tubes/jets where the oil needs to flow quickly through the system. This is most common in suspension systems, and other hydraulic applications. Higher viscosity oils are better for applications where there is a lot of metal to metal contact. Since the oil doesn’t flow as easily it helps create a better barrier between components. This is most evident in transmissions and gear housings. Engine oils can span from low to high viscosity. Recent trends in the automotive sector have seen the recommended viscosity of engines oil become lighter to help improve fuel economy. This is because the lighter the viscosity means it flows easier, this means there is less resistance, therefore the engine power needed is reduced, and the fuel economy goes up. One of the most commonly asked questions we see is “what viscosity should I use in my…..?”. 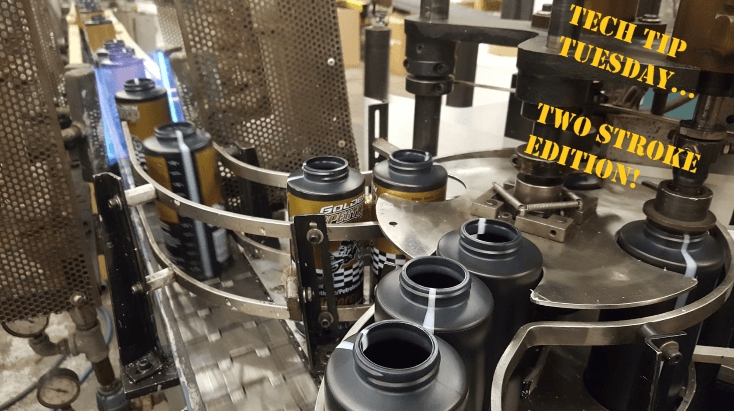 The answer is simple, whatever the OEM recommends for viscosity as they designed the machine and will know what will help it run at peak efficiency. Spectro Oils offers a wide variety of viscosity choices in each of our product lines to ensure that we have something for every machine! 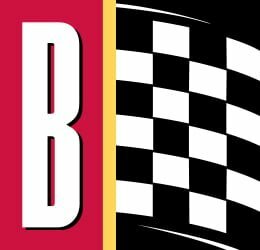 Brookfield, CT — Spectro Performance Oils would like to announce the newest addition to their already top quality product line-up…Spectro Ethanol Fuel Conditioner! This product is a must in any gear-head or powersport enthusiast’s garage. The Ethanol Fuel Conditioner will protect any fuel system components from damage by ethanol, which is present in most fuels, it will also inhibit the build up of gums and prevent corrosion in your fuel delivery system. It will extend fuel life and allow for extended and no-maintenance off-season storage. The Ethanol Fuel Conditioner will work with fuel systems in all 2 and 4 stroke vehicles, from yard equipment to classic cars. Spectro Ethanol Fuel Conditioner is so new and improved, the only thing that wasn’t changed was the bottle! This Ethanol Fuel Conditioner should be used with every fill up of your fuel tank to ensure maximum protection! The bottle will treat up to 17 gallons, just squeeze the bottle and fill to the top measuring line on the reservoir (0.5oz or 10ml) for every gallon of fuel in your tank. For fuel storage, add Spectro Ethanol Fuel Conditioner to the fuel and run engine for 10 minutes to ensure product is circulated throughout the fuel system and engine. Head on over to our social media pages (and don’t forget to “Like Us” or “Follow Us”) to get schooled on Ethanol fuels and their negative effects on your fuel delivery system and motor. More the reason to add Spectro Ethanol Fuel Conditioner to your vehicles “insurance policy” and to avoid costly repairs down the road. To learn more and find your local retailer, please go to the dealer locator. “Spectro Ethanol Fuel Conditioner” (product code: K.EFC) is a new product and has replaced the now discontinued “Spectro FC Premium Fuel Conditioner & Stabilizer” (product code: K.SFC). If you have any questions, please call 800-243-8645. Corrosion is a major issue internally for braking systems. In order for hydraulic pressure to be applied in the braking system, the brake fluid needs to be able to flow freely throughout the system. Corrosion inside of the system can block off passages either by restricting flow due to narrowing of the pathway, or particulate that breaks off and plugs the system. The number one cause of corrosion is moisture in the system. DOT 3, 4, and 5.1 fluids are hygroscopic, meaning that they absorb moisture. You should only use brake fluid that is in a sealed container, as it can absorb water from the atmosphere under even standard humidity levels. The boiling point of brake fluid is one of the least talked about characteristics of a brake fluid, but depending on how you use your vehicle it can be one of the most important. Brake systems are under immense pressure, and pressure creates heat. Combining that heat with the heat created from the friction of the external braking components and brake fluids can see temperatures well over 500 degrees in extreme, constant braking situations. The problem with this heat is that brake fluid like any fluid can vaporize into a gaseous state once it hits it’s boiling point. As we discussed in the compressibility section, gasses, unlike fluids are compressible. The result of heating your brake fluid past its boiling point quickly becomes the same as getting air in your system…little or no braking power. The other issue is that the boiling point of a brake fluid does not always remain constant. If a brake fluid becomes contaminated with water it can lower the boiling point of the system as water boils at a much lower temperature than brake fluid. This is why it is a good idea to change your fluid often and help maintain the durability of the fluid. Next time you are changing your oil, flushing your coolant system, or even washing your car or motorcycle think of the last time you checked or replaced your brake fluid. Maintaining it is as simple as three easy steps. Keep your brake fluid level reservoir topped off. When adding brake fluid to your system only use fluid from a sealed container. Change your brake fluid on a regular basis. If you have any questions regarding the proper fluid level, what type of brake fluid to use, or how often to change it, check with your manufacturer who provides this information to help ensure that when you are out on the road you are safe and secure. We also created an acronym to make it easier to remember all the major points, because it’s nice to get out there and enjoy the ride, but at the end of it you also want to be able to come to a STOP! T op off fluid when low! O nly follow manufacturer’s specifications!